Lands are situated in Konyaaltı, Geyirbayırı Neighborhood. This region is surrounded by greenery area, agricultural land and historical places you can visit. Geyikbayırı is one of the most preferred areas to invest by investors and buyers. If you are buying land in Turkey, this region is very valuable. 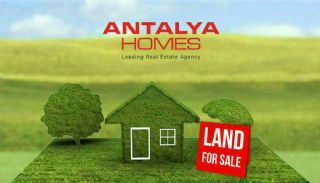 Lands for sale in Antalya are 22 km to the city center, 18 km to the sea and 45 km to the International Antalya Airport. There are 2 agricultural lands for sale in the different parcels. The first land has 5.711 m² area. The second land has 17.260 m² area. These lands are allowed to do 5% construction. You can build 2,5-storey house or villa.